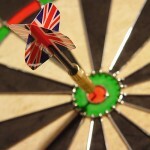 Our darts team is in Division 3 of the APFSCIL Darts League, currently playing home games at the Peacock near Tower Hill. 21st September 7.30PM start at the :- Horseshoe 24 Clerkenwell Close, London, EC1R 0AG Team – Paul, Tom, Mick, John S, Steve G, Nick. New players always welcome. Do not adjust your screens, the score you see before you is correct. 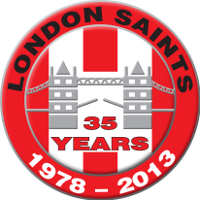 The London Saints darts team did indeed win 9-2 last night to finish their season on a high, and with a 16-point cushion from the bottom side. Saints Edged Out in Darts Thriller… Again! The London Saints darts team were beaten on the deciding leg for the third league game in a row to lose 6-5 against table-toppers Burnley. The London Saints darts team were given a lesson in high scoring by their Coventry counterparts as they were knocked out of the APFSCIL darts cup in the second round by a 7-2 scoreline. It’s only taken ten games, or the whole season if you like, but FINALLY the darts team has won a match, edging out Plymouth 6-5, although the match wasn’t quite as close as the scoreline suggested.